Did you know Eco Paint’s best residential painters provides professional painting services for all areas of living spaces, and residencies near Denver, Boulder, Aurora, and Colorado Springs? Painting residential addresses such as homes, apartments, row houses, lofts, condominiums, town-homes, bungalows, duplexes, triplexes, suites, villas, estates, chateaus, salons, and dormitories. 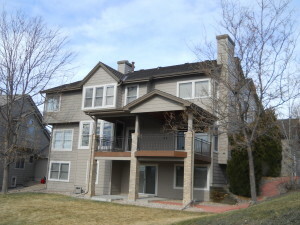 Painting these housing spaces, updating, protecting, adding value and color, warmth, and with the latest painting trends for your residences in Denver. Residential house painting for homes' interior or exterior is one of the most beneficial home improvement areas that can be done, upgrading one's decor, while giving a warming home like feel, and personal touch. Eco Paint is your premier house painting provider, rendering top quality paint coatings, for all residences and living spaces, having the highest benefits. Painting Your Residence is Now Fun Again! A residential home's decor may change frequently including adding furniture, draperies, counter tops, or carpet. Updating one's paint colors to coordinate with those new additions may be just what is needed to complete your interior color decoration. Other Denver areas of residential house painting may include painting walls and ceilings, painting trim and doors, or painting siding and painting kitchen cabinets White, or possible siding repairs. In residential house painting, there are many areas of expertise, other than painting the obvious. Having a vast knowledge with nearly 40 years experience of residential house painting, assures you a professional house painting job done right, for years of enjoyment. Contact Eco Paint for your one-stop shop for all residential painting services in other areas of Denver, like Centennial, Parker, Castle Rock, Highlands Ranch, Littleton and Lakewood, CO. So Contact Us Today! Adding Color, Value, and Protection, Painting Every Residence! Calculating paint jobs several different ways, large or small, Eco Paint keeps painting costs in check, and affordable, working with your budget. Painting a residence or offices is the most economical decorating portion of an interior designer’s handbook, and Eco Paint is your main source. Generally after reviewing your on-site painting project, a detailed cost of painting is generated, leaving you with a free painting quote, which is an all inclusive painting estimate. Making sure your turnkey cost of painting your next residential paint job is affordable, and well within your budget. Go Green! Paint Today, Entertain Tonight! We make it super easy to receive a paint quote, price, cost of painting today, with 3 easy Points of Contact. Can simply Click Here to fill out Contact Form, explaining your particular paint job, scheduling a Free Painting Quote. Either way, someone will be back in touch with you very soon. Contact us today to learn more about our residential painting services.